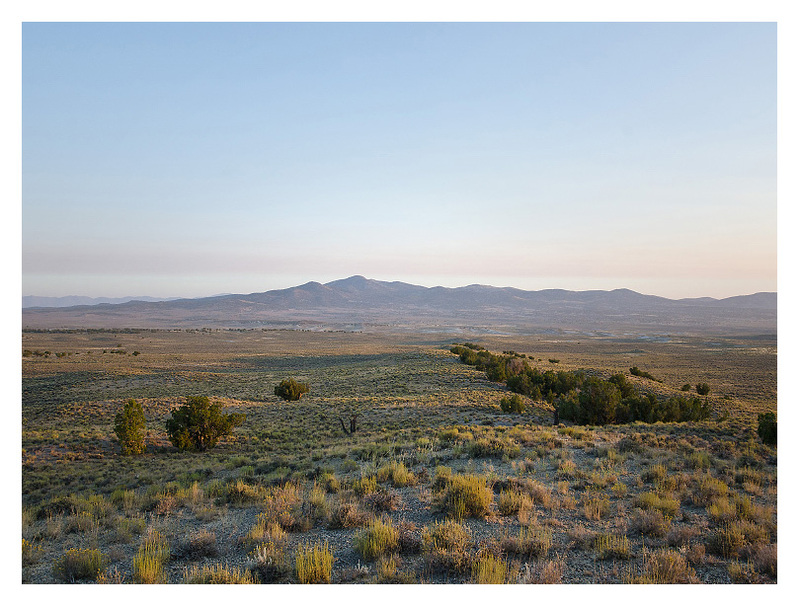 The retreat is located on 80 acres in an undeveloped valley near Montello in the North-Eastern corner of Nevada. The setting is defined by the sweeping views of the Great Basin valley, by an expanse of sagebrush and the occasional Juniper grove, which provide, quite in contrast, some surprisingly intimate interiors. The property borders Public Land on two sides, and in general, the land is open to walk and explore. Besides the Montello Foundation, the area is used and cared for by our good neighbor, the Winecup Gamble Ranch. In the spring and early summer, it is more likely to rain, but then the wildflowers are abundant. Later in the summer, it can be then quite hot during the day, and outdoor activities are best done in the morning and late afternoon, or in the shaded areas, but it always cools off at night. Later in the fall, one might seek out the sun and will have to be prepared for frost at night. And of course, being in a remote desert setting, the skies of a clear night are breathtaking. Here is more information about the region on Wikipedia (ecoregion 80a).